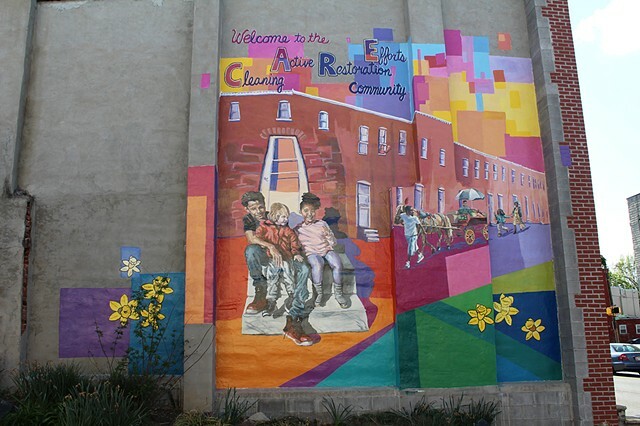 Members of the C.A.R.E. 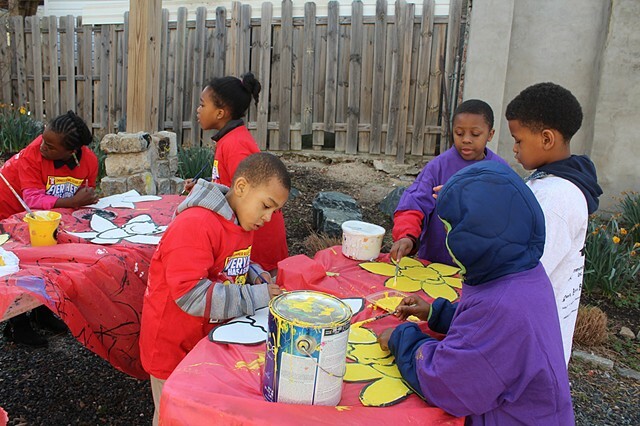 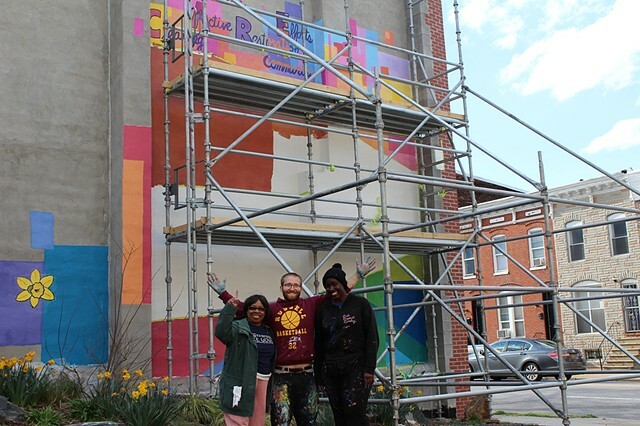 (Cleaning Active Restoration Efforts) Community in East Baltimore and I collaborated to create a vibrant mural adjacent to a pocket garden. 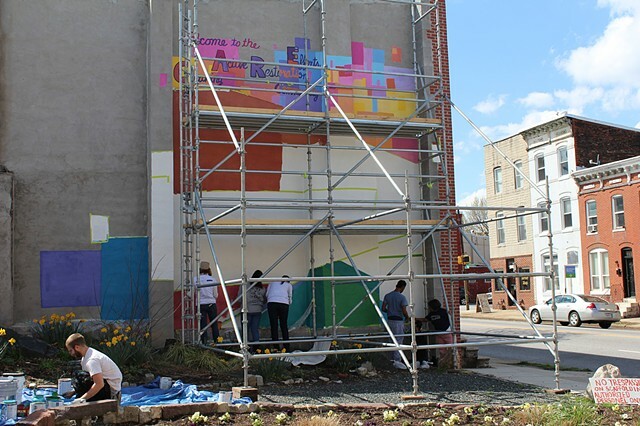 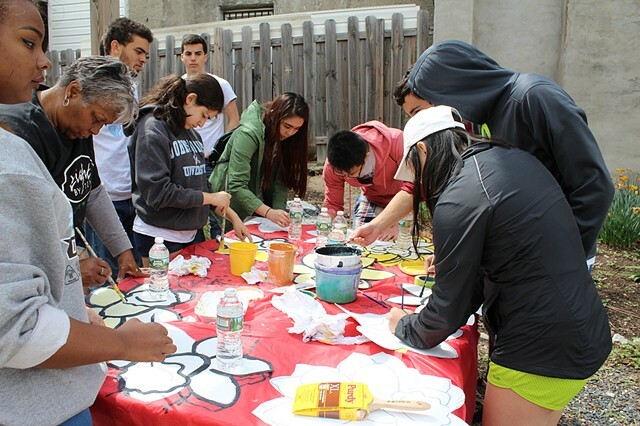 The mural is a statement of the community’s history, positive characteristics, and growth. 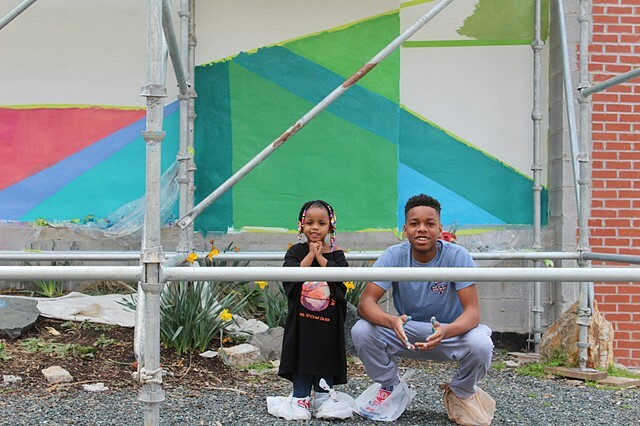 Conceived, developed, and implemented through collaboration between multi-generational residents and myself, this mural is a new layer in the cultural landscape highlighting the beauty within C.A.R.E. 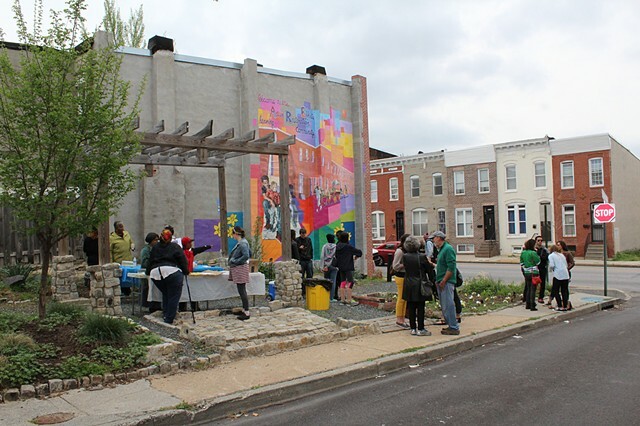 and the community’s capacity to create positive change from within. 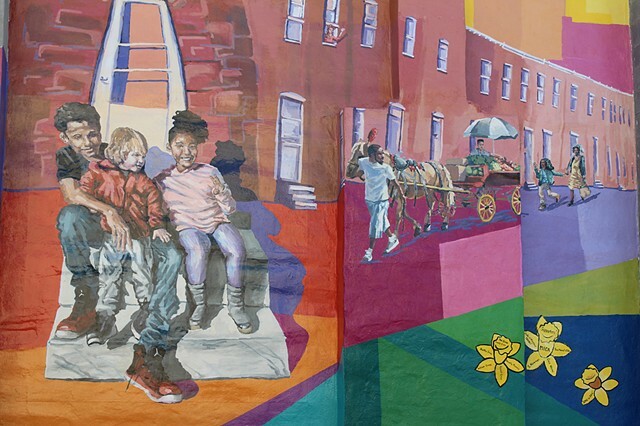 The mural was completed using direct painting on the wall, as well as application of Polytab or Parachute cloth material. 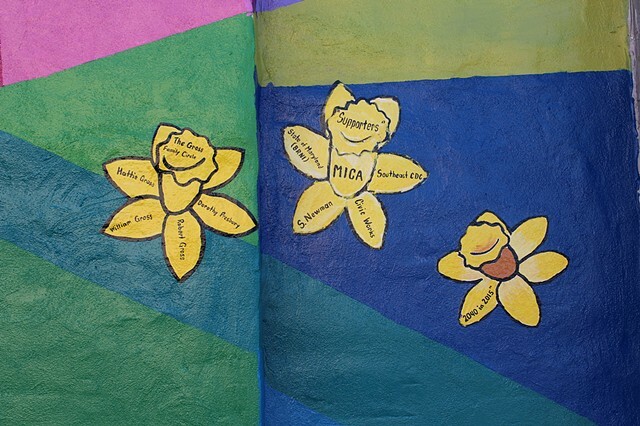 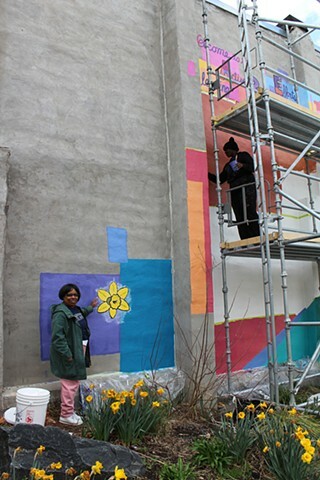 The mural will continue to grow with the addition of daffodils dedicated to people by community members.